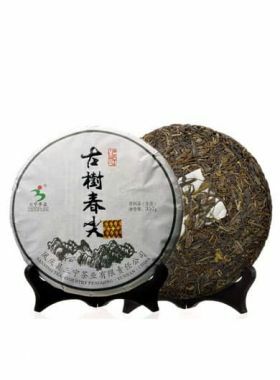 This Puerh Cake Tea is good for Raw Puerh Tea lovers who prefer tougher and stronger raw puerh taste. 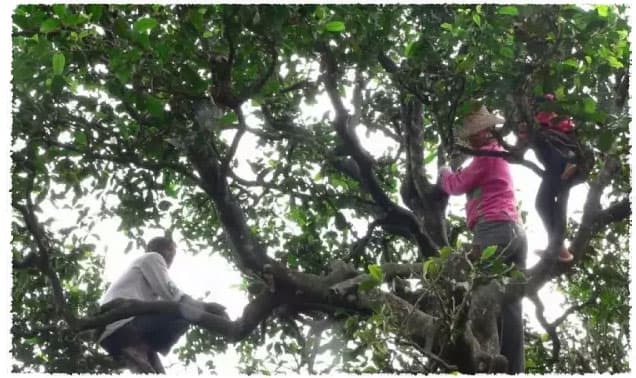 Old Tree pu-erh tea, also commonly called Lao Shu pu-erh, is made using tea leaves from Fengqing large-leaf tea trees between 300 and 800 years old. The ‘old tree’ in the name refers to the wild ancient trees left to grow in natural forests, semi-cultivated old trees in wild areas, or artificially-cultivated trees that have been maintained for at least a century. 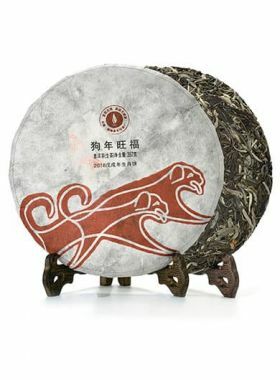 Pu-erh tea made from old tree leaves is generally higher in quality than younger teas. Old tea trees are naturally grown in non-polluted environments, resulting in higher nutritional value of the leaves, and it also endures better through more infusions. For making this tea, the leaves are pan-fried, rolled, dried, and then pressed into loose pu-erh (also known as Saiqing raw tea), after which they are steamed, shaped, and sun-dried again, which results in the end product of the cake. 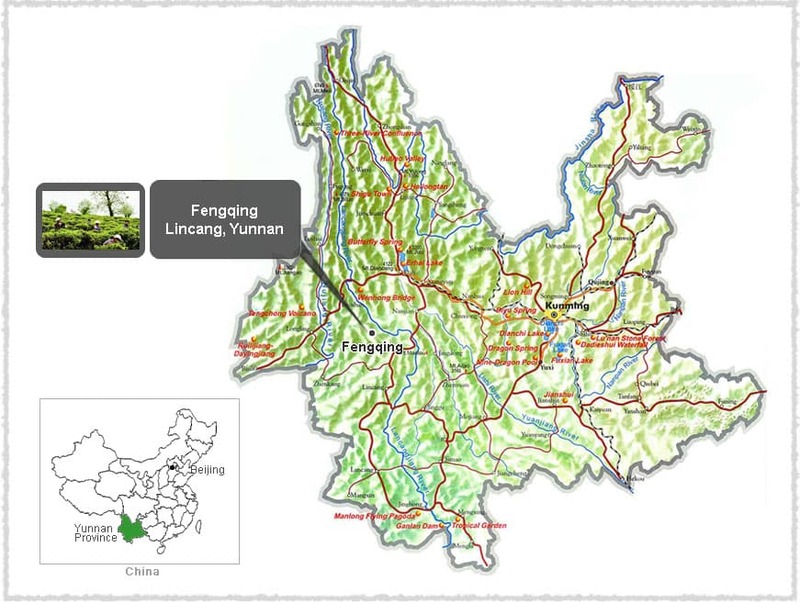 This cake comes from one of the famous wild old tree reserves in Xintang village, Lushi Town, Fenqing. After the trees were planted, the ancient farmers only clipped and harvested them sparsely, and used no fertilizers or pesticides; since then the trees have been left to grow freely. The leaves used to make this cake in particular were carefully selected from 300-500 year old large-leaf tea trees, grown naturally and organically without any artificial fertilizer or pesticide usage, and using only manual farming and caretaking techniques.